With a substantial bulk of the planning for our UBCTD project now under our belts (see parts 1 and 2 of this blog), we’re now in a great position to begin planning the more logistical aspects of the project. With underbalanced drilling there is some additional equipment to be considered and installed. The usual coil equipment such as the coiled tubing reel, power pack, injector head and fluid pumps are all there, but with the well flowing, the return flow needs to be controlled. Therefore, a choke manifold and separation equipment to ensure solids, oil, gas and water all can be separated are also required. In the case of my project, working on a production platform it was possible to have the return flow from the well routed back into the production facilities. Lift gas could be required to achieve an underbalanced status, and this can be sourced from the platform. There is likely a requirement for additional pressure boosters to inject the gas into the coil. The key thing to manage offshore is the solids. 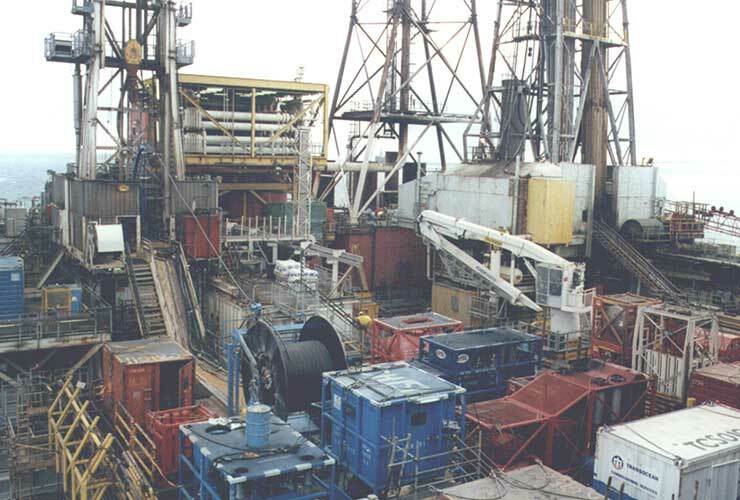 Production systems on platforms are not designed to handle drilled solids, so when drilling a sidetrack, special attention needs to be paid to ensure solids are separated out of the flow and shipped back to shore. Space on any platform is limited (as shown in Figure 2 below) and considerable time will be spent on equipment layout design on the deck of the platform. Deck loading, pipe routes, walk ways, access and egress routes and emergency escape routes all need to be considered. Lifting operations need to be carefully managed to ensure loads can be moved without personnel working below. The well control aspects require special attention when drilling underbalanced. The normal fluid barrier is no longer present, and the well is controlled by the stripper rubbers and the choke manifold. During tripping and bit changes, the well needs to remain underbalanced. So once the bit is near surface, a BOP stack needs to be used to ensure the well can be closed and the BHA can be handled. If, for any reason it becomes necessary to kill the well, procedures, fluids and equipment must be in place to ensure this can be done safely. Special attention needs to be paid to flow rates, erosional rates and solids. Equipment can plug or start leaking, so procedures and equipment to be able to control the well become especially important in underbalanced drilling. The image below (Figure 1) shows a gate valve installed below the BOP. This was specially designed so it could be closed when the bit was pulled into the BOP. It saves BOP operations and helps with BHA deployment. UBCTD requires a lot of equipment to be shipped. As we touched on earlier, when working offshore on platforms, it is important the equipment layout is carefully planned before the job starts. Once the layout plan is complete and all the pipework is routed, it’s important to create an installation sequence. This will ensure that when equipment is placed on the platform, it can still be connected to lines in and out of the well, as well as to the required services of water, electric power and compressed air. Make sure all of the equipment is rigged up in the yard with the offshore crew and ensure pipe work, sensors, cable and walkways can be installed prior to going offshore. Mark out the space you have on the platform and then place and hookup the equipment. This will identify any issues before getting offshore. Piping, walkways and emergency escape routes with the equipment placement and general platform layout are all to be looked at with the entire team, making sure all parties still have access to where they need to go. And that’s it, not too daunting right? Joking aside, planning for an underbalanced CTD project can be complex. A successful underbalanced drilling operation requires an understanding of the geology, reservoir production aspects, drilling and finally surface equipment. However, it really is worth the initial hard work, as drilling underbalanced and avoiding reservoir damage means that production rates can significantly improve. 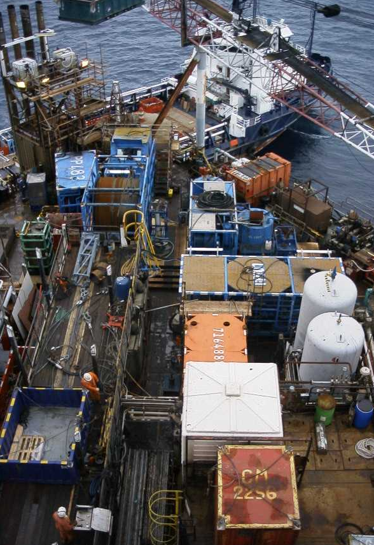 Back in the early 2000’s, UBCTD allowed production from the depleted Buchan field in the North Sea to be doubled! Underbalanced coiled tubing drilling onshore converted highly depleted gas fields into successful gas storage fields and allowed additional reserves to be accessed and produced. Yes, underbalanced drilling with coiled tubing is complex, but it is still a lot simpler than doing the same thing with jointed pipe. I hope this blog has been useful to any of you considering, or currently in the planning stages of an UBCTD project.